While GPS systems have helped us out a lot in navigating our way through the world, they aren’t perfect. In fact, many times, they have the tendency to mess up. 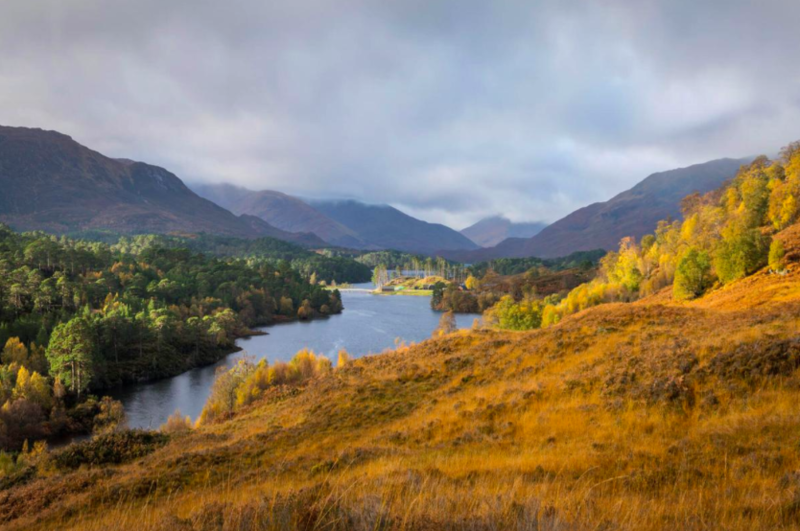 That is exactly what happened when a photographer and her partner embarked on a trip on a beach in the Scottish Highlands. 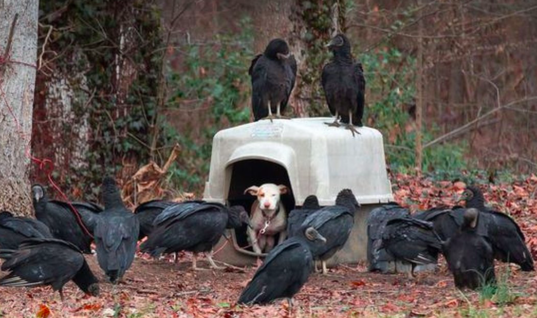 Her GPS messed up and led her to a remarkable discovery. 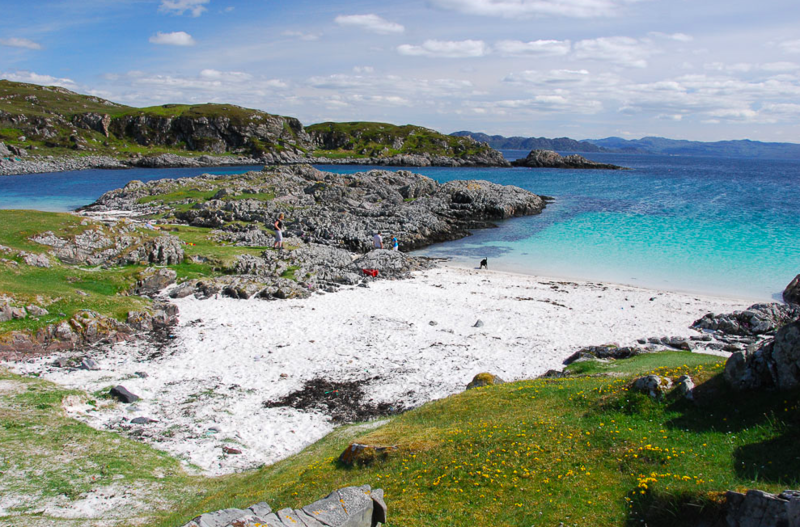 Photographer, Lorraine Culloch, and her partner were off on a trip on a beach in the Scottish Highlands. 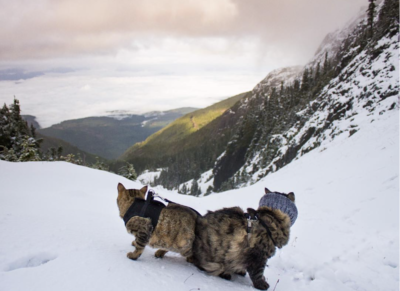 The pair were looking to photograph some sights so they headed off on their journey. They quickly inputed a location into the GPS system. The pair continued to drive along the beach in search of a signal. 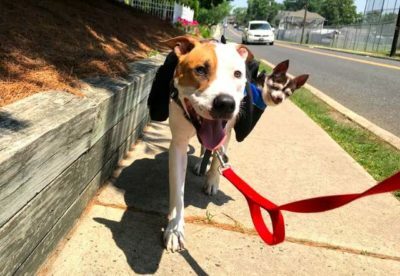 As they made another wrong turn, the pair saw something very odd washed up on the beach. As they got closer they couldn’t believe their eyes! As Culloch and her partner got closer they realized what it was that they were looking at. 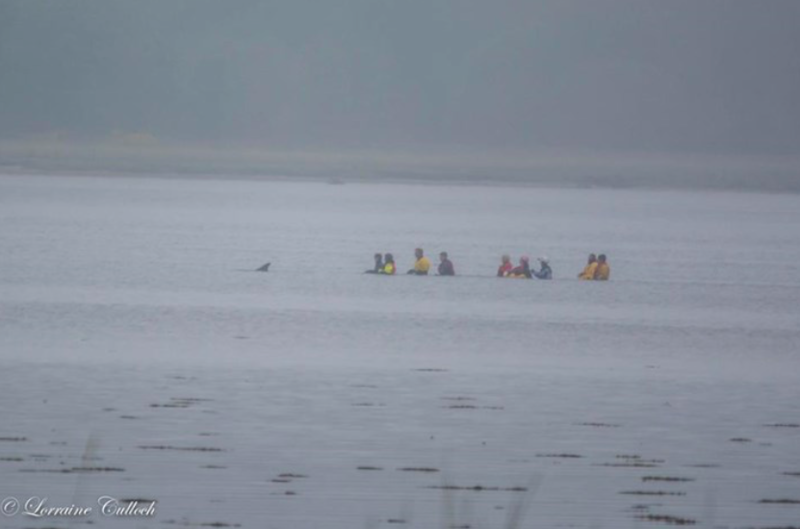 There on the beach was a stranded bottlenose dolphin. It was in need of some serious help. “For once I’m so glad our sat nav messed up and took us down the wrong road,” Culloch said in a Facebook post. Culloch went over to the dolphin and realized that it was still alive. 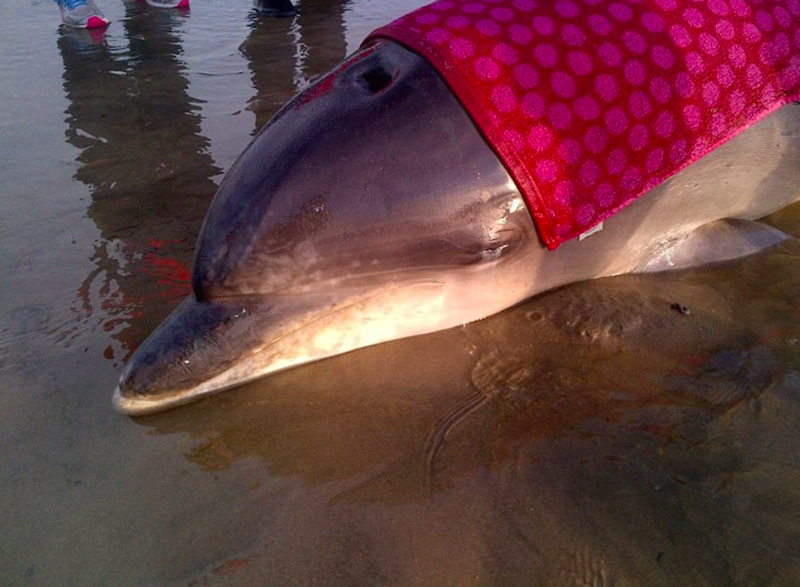 She knew she had to contact professional help in order to save the dolphin’s life. 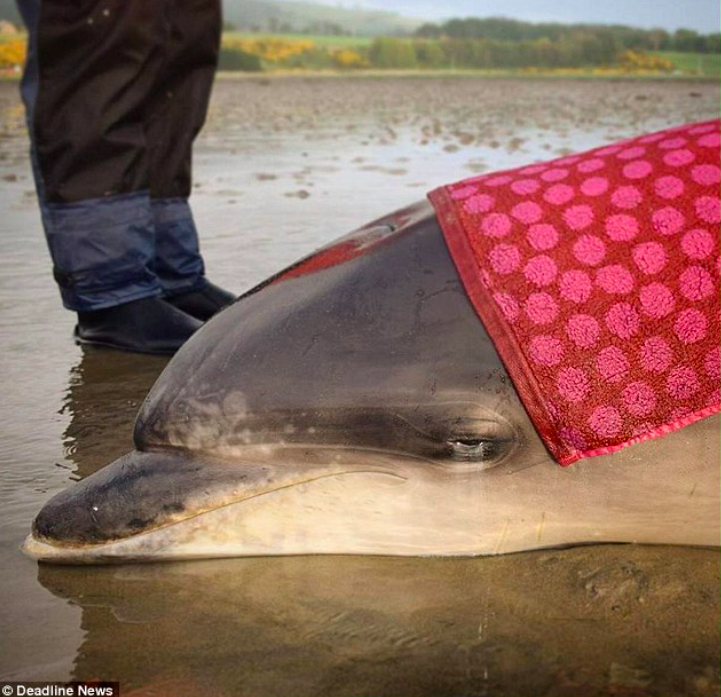 The dolphin had gotten stranded at the bay at Nigg, Aberdeen. 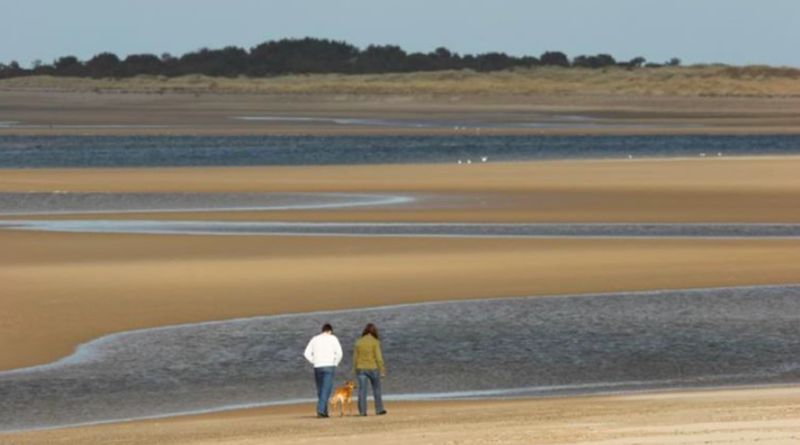 The area features mudflats, saltmarsh and wet grasslands. 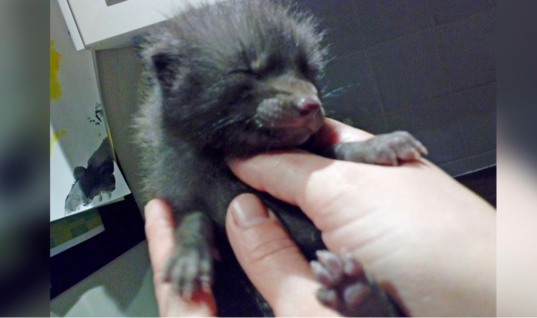 From there, Culloch quickly phoned wildlife rescuers that quickly drove over to the area so that they could help! 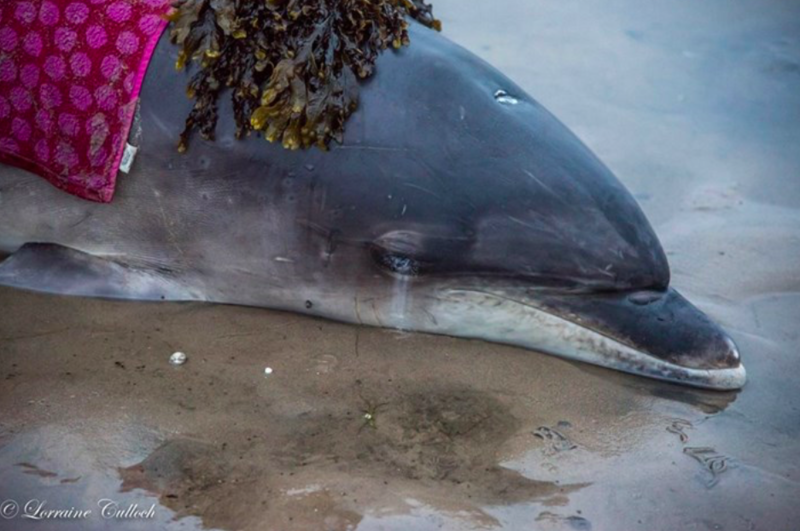 Animal rescue workers quickly arrived on the beach and sat with the dolphin for ten hours. It took a while before the tide was high enough to pull the dolphin back into the sea. 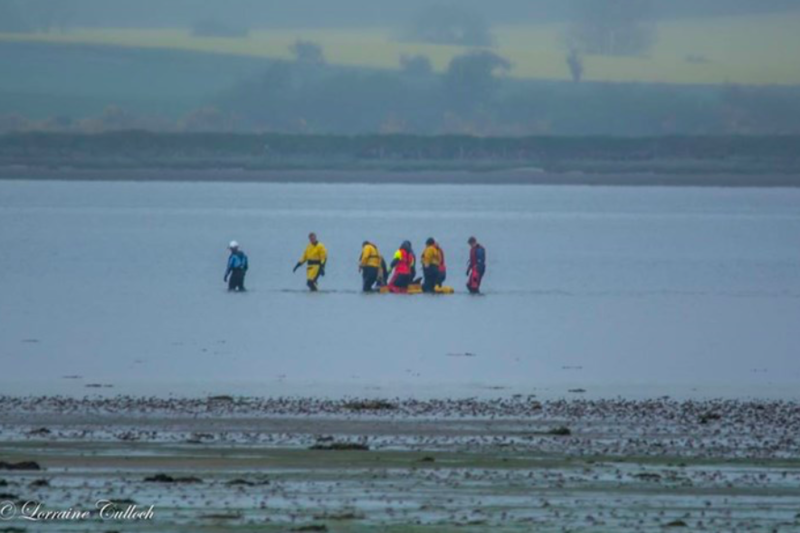 The animal rescuers, however, were dedicated to making sure the dolphin would survive. During the wait, however, the rescue workers didn’t just sit around and watch the dolphin suffer. 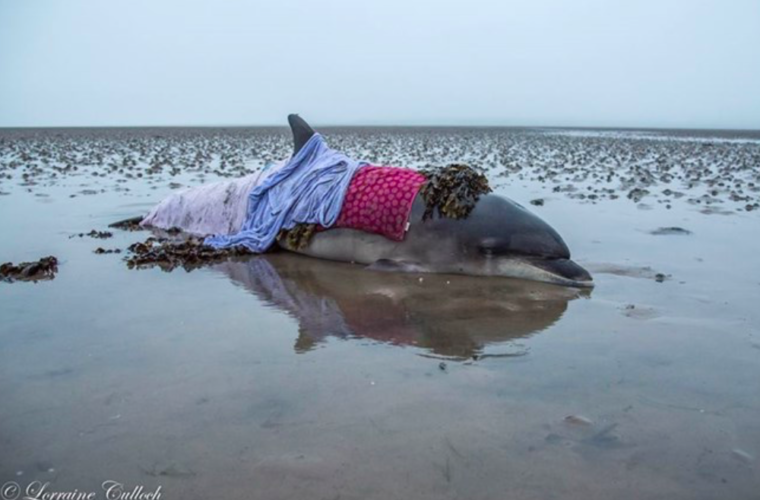 They went out of their way to wrap the dolphin in wet blankets and seaweed in order to help calm it down and reduce its stress. 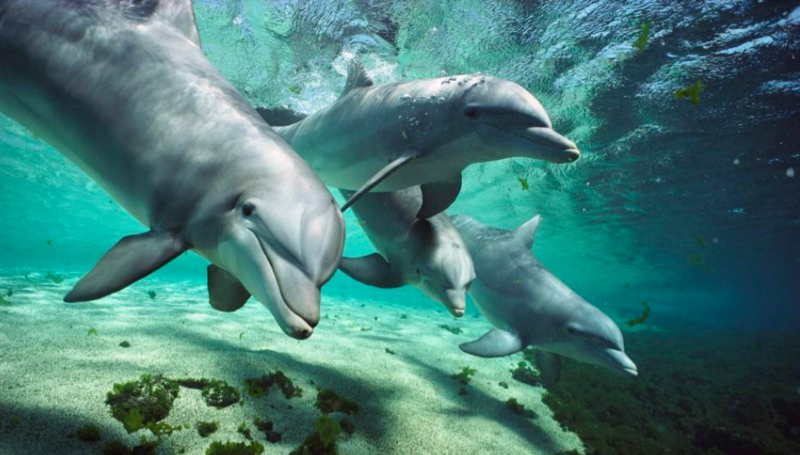 This would help protect the dolphin in the meantime. 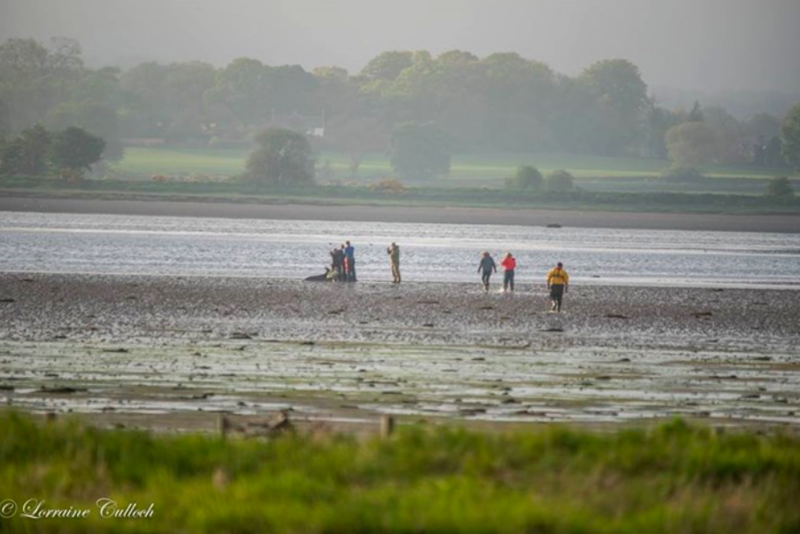 Culloch wrote on Facebook: “These amazing men and women stayed up all night waiting and monitoring the dolphin before wading out into cold deep water at 4am.” So was the rescue mission a success? Culloch answered that question in her post as well. 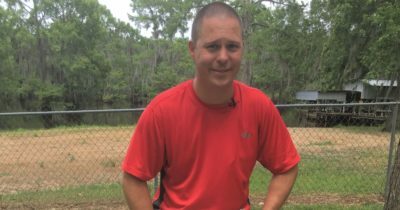 Culloch said the rescue mission was a “huge success” and even stated that the dolphin swam “strong in an outwards direction“. “A massive well done to all involved – an amazing team of people,” added Culloch. So what’s going on with the dolphin now? 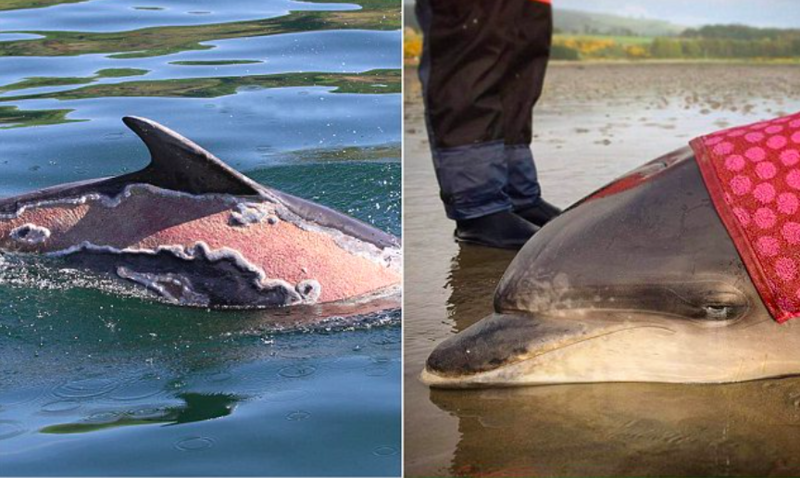 Later on, Culloch was informed that the dolphin that she helped save was actually a part of a well-known local population of around 130 bottlenose dolphins. 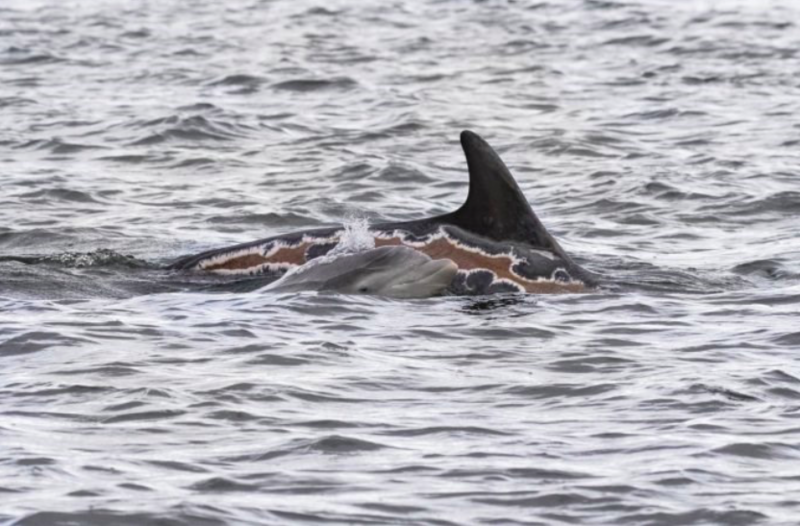 Researchers in the area have marked these dolphins on their dorsal fins so that they can better recognize them. The dolphin, whose name is Spirtle, is actually a part of the “famous Moray family.” Spirtle is a four-year-old girl that is a part of this big family! Recently, a field officer spotted Spirtle out in the waters and managed to snap some pics. 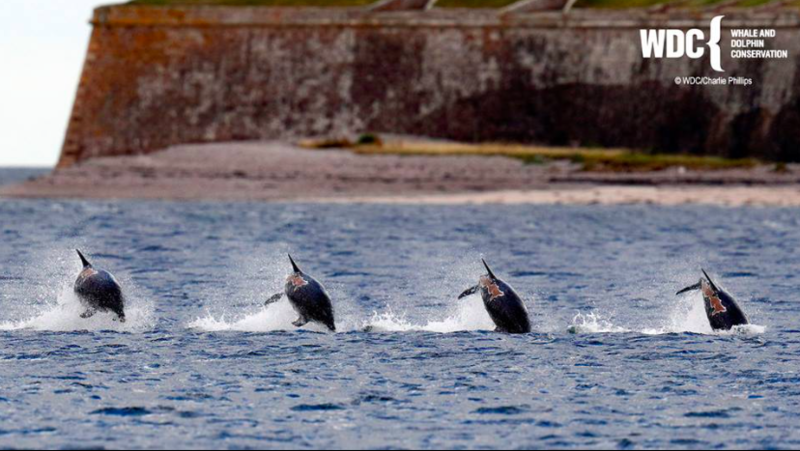 Charlie Philips, a Whale and Dolphin Conservation (WDC) field officer, recently saw Spirtle out by the shores of the Cromarty and Moray firths. There he was able to snap some unbelievable photos of her as she swam around. While she was stranded on the beach, Spirtle sustained some pretty bad sunburn damage on her back. These were visible in the photos that Philips took. So is there anything to be worried about? 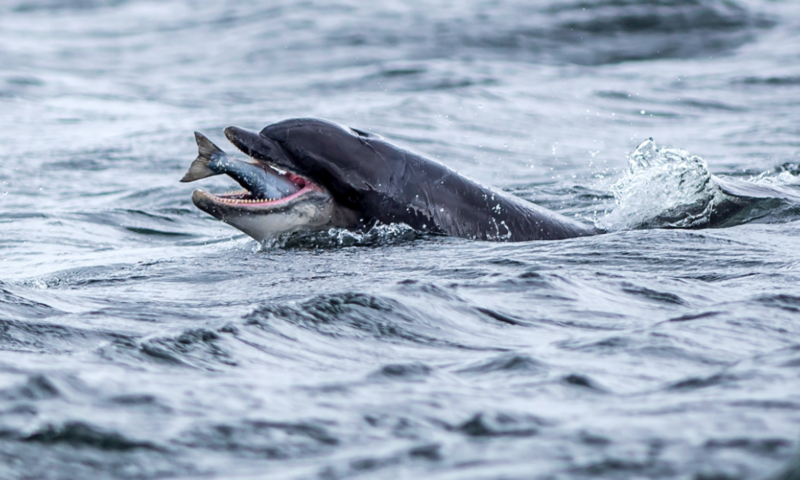 Researchers that saw the photos stated that the dolphin’s behavior seemed normal. Philips even noted that Spirtle was keeping an eye out for her sister’s calf. 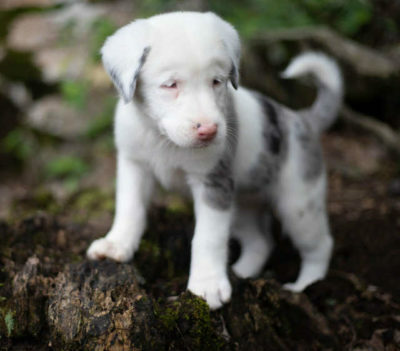 When she was first rescued, however, rescuers were worried about the condition of her skin. “The damage to her skin is severe. 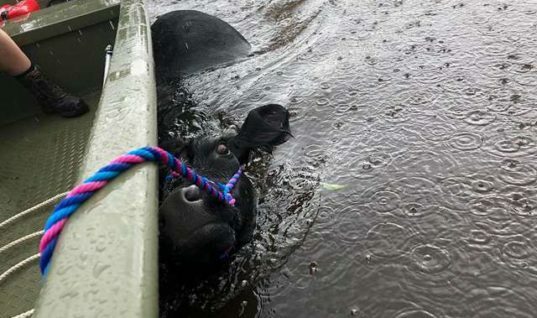 However, various groups will be looking out for her in the coming weeks and months, as she hopefully continues to heal,” said the dolphin conservation group Marine Connection. So that’s exactly what researchers did. 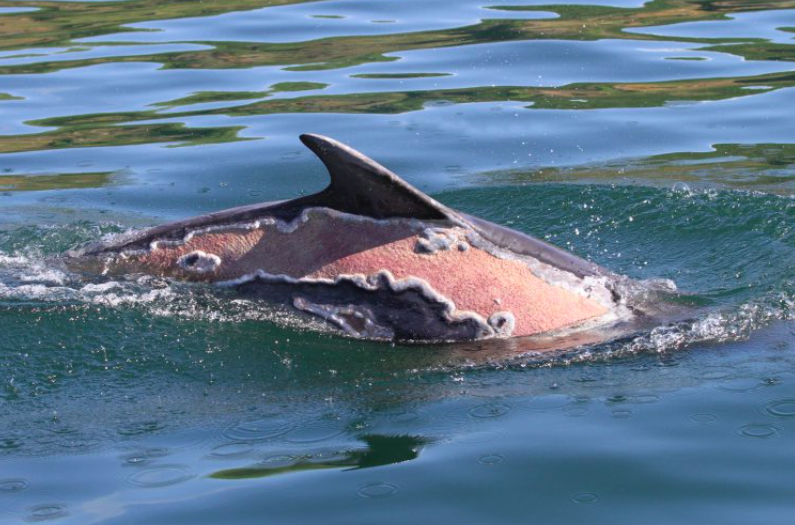 Thanks to the photos that Philips took, researchers and groups were able to see the progress that the dolphin was undergoing. 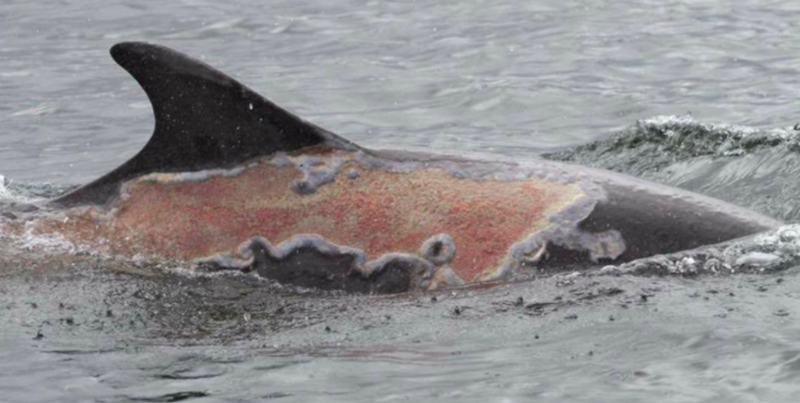 “The images taken this week … show a big improvement in her skin condition,” said the WDC in an update. Even though Culloch was able to save the life of one bottlenose dolphin, the entire population is still in harm’s way. 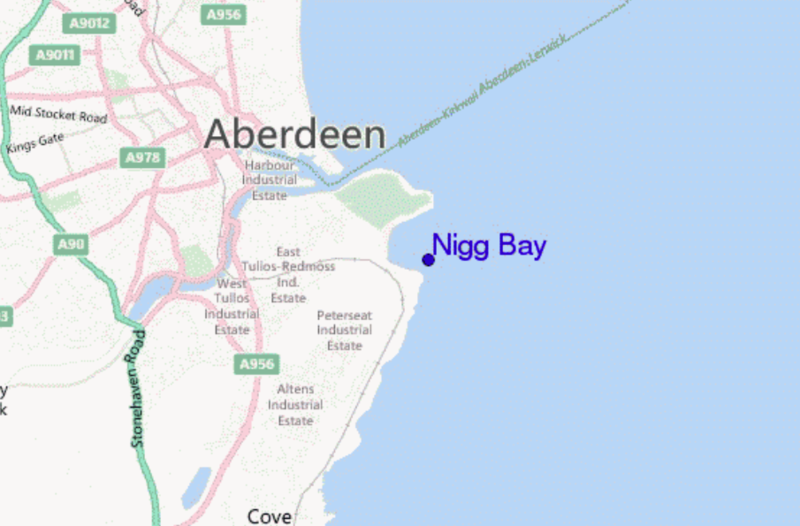 The Nigg Bay is known to be home to many of the UK’s whales, dolphins. and porpoises. 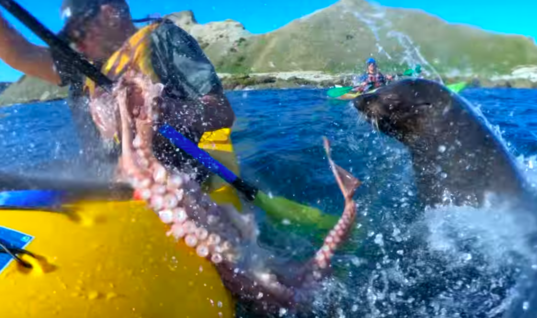 However, the dolphins have seen some of the worst threats. 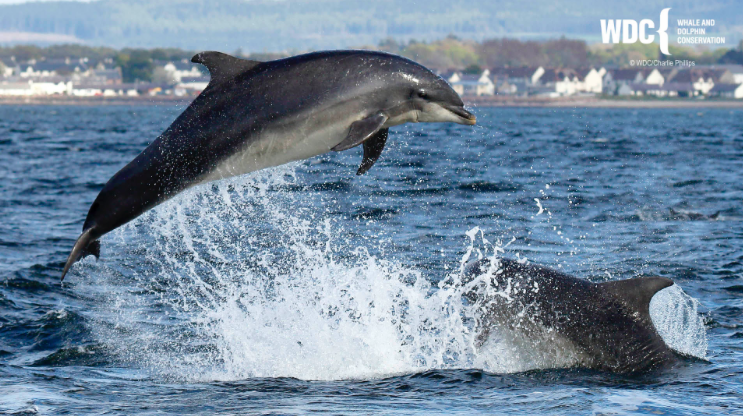 The dolphin population is beginning to dwindle due to pollution, gas and oil exploration, as well as deaths caused by abandoned fishing gear. “In spite of evidence that the population is under multiple threats, not enough is being done to protect this unique, vulnerable and important group of animals,” warns the Whale and Dolphin Conservation group. Thankfully, Culloch’s GPS just so happened to glitch on the day that a young bottlenose dolphin was in need of some serious help. 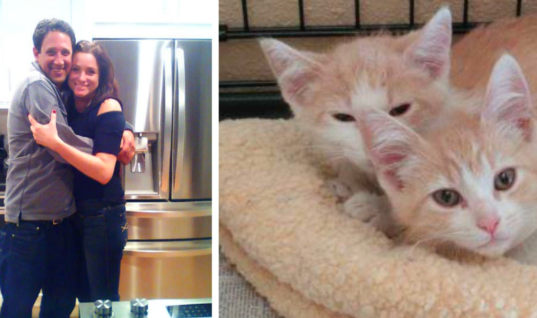 Now Spirtle is living her life out in the bay area and living out her grand life!